This is a luxurious silk headband measuring 2" at the sides and 1" in the center. The silk is lined with crinoline to help hold its shape. The design of this headband with the 'cupping' sides helps the headband sit beautifully on your head. This is a very classic piece. Elegant and comfortable. 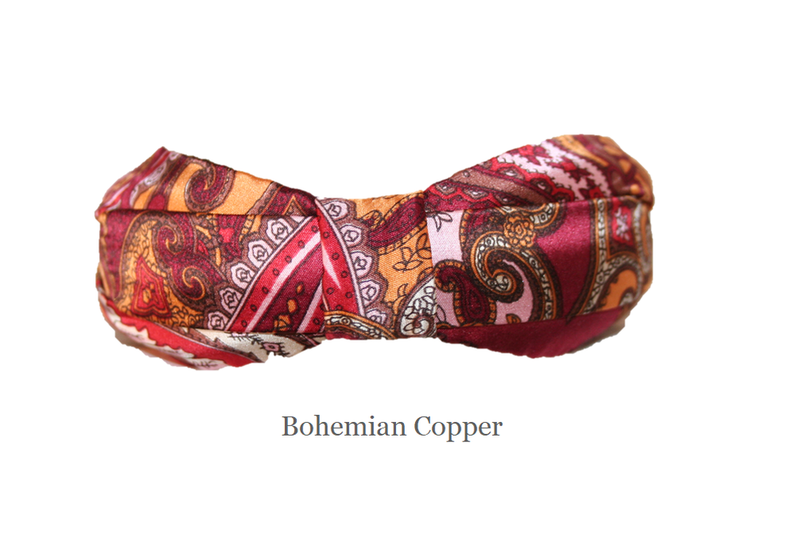 Shown here in bohemian copper.